Reduce Noise Levels Up To 80% and Heat Loss By Up To 65% with our secondary glazing solutions. Create a peaceful, warm and secure home with our secondary windows in Malvern, Worcester, Ledbury & Worcestershire. Are Your Windows Letting in Draughts? Our Secondary Glazing Can Help. Our secondary glazing is a stylish and cost-effective way of increasing both acoustic and thermal performance. Discreet, durable and functional, our secondary glazing can be installed within all house types, even Grade I and Grade II listed buildings. It can also be used in conjunction with other types of glazing such as single, double and triple glazed windows. Manufactured from durable materials, our secondary glazing products will provide you with years of outstanding performance, helping to relieve any noise, thermal and security issues that you face. Our wide choice of styles and finishes have been designed to be sympathetic to almost any surrounding or existing window style. Available in over 200 RAL colours, it’s also easy to match any new window to home. Secondary glazing involves installing a second window and is an affordable alternative to replacing double or triple glazed windows. This window acts as a fully independent internal window and is a separate unit consisting of single glazing within its own frame. Many choose this method to improve heat retention and sound reduction in their home. It also makes windows more secure. It can also be installed with minimal disruption and will last for many years to come. Secondary glazing involves adding another window to your existing windows. It is a cost-effective and efficient way of insulating your windows, especially when trying to maintain an energy efficient home. Non-obtrusive, our secondary glazing is perfect for use in Listed Buildings and Conservation Areas. Slim and discreet, our products will blend seamlessly with their surroundings. Did you know that secondary glazing is recommended by English Heritage? It’s considered a reversible and cost-effective change. Sound Insulation: Significantly improve the acoustics of your property. From busy roads to noisy kids, our secondary glazing can help reduce noise levels up to 80%. Improved Thermal Efficiency: Maintain a warm and comfortable home with an added layer of glazing. It can reduce heat loss through the window by roughly 65% . Higher Security: Secondary windows can help enhance a property’s security, with an added layer of protection. A discreet and affordable solution. Maintain Character & Aesthetics: Our stylish secondary windows have been specifically designed for period style buildings. Perfect for use in conservation areas and heritage properties. Combat Condensation: If condensation is an issue, then secondary glazing with trickle ventilation could be the ideal solution. A simple, cost effective and permanent solution. We offer secondary glazing from Granada so all our customers benefit market-leading windows. All glazing is tailored specifically to your property, helping to maintain the character of your home. Due to the subtlety of secondary glazing, period and historic homes are able to retain their appearances whilst benefiting from added efficiency, security and noise reduction. Our wide variety of styles ensures each window will blend seamlessly with your existing property style, giving you an attractive and unobtrusive finish that is sympathetic to your natural surroundings and existing window designs. Secondary Glazing in Malvern, Worcester Ledbury & Worcestershire. We have been supplying and installing quality window products for many years. If you are in Malvern or the surrounding areas, then we can offer our expert secondary glazing services. We provide a comprehensive range of glazing styles that can be tailored to your project. All our secondary glazing is thoroughly tested to meet British Standard covering, noise insulation, thermal performance and security. From listed buildings, to new-builds, hotels, schools and private homes, our secondary glazing can be used to enhance the performance of a wide range of buildings. 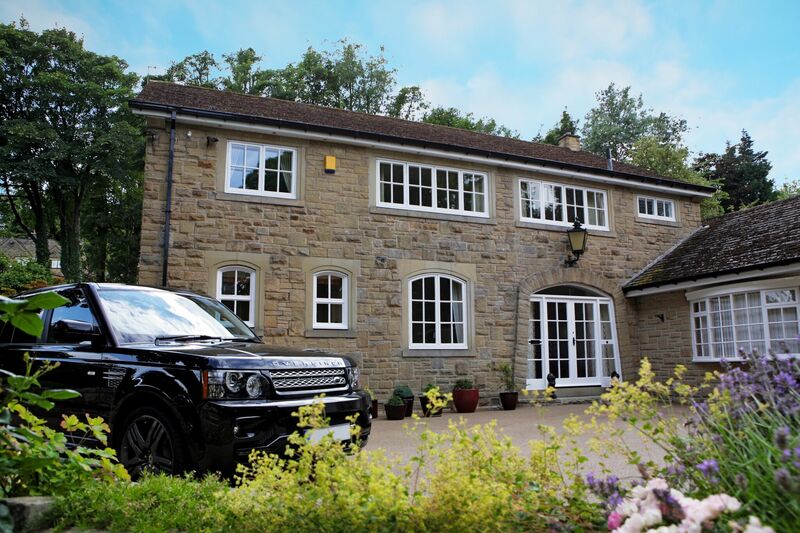 Our range of secondary windows can be specified to suit a wide range of existing window styles such as top hung, side hung, lift-outs and vertical sliders. We specialise in the supply and installation of secondary windows. If you are looking for quality secondary glazing in Malvern and Worcester then contact one of our experts today.